When Bradley Cooper went to Desert Trip in October of 2016, he didn't view the festival as a casting opportunity for his upcoming Lady Gaga–starring directorial debut A Star Is Born. But then Neil Young took the stage and Cooper's eyes wandered over to his guitarist, Lukas Nelson. Not only was the 27-year-old son of Willie Nelson crushing everything Young threw at him – from a gentle, acoustic "Comes a Time" to a wild, frenetic "Cowgirl in the Sand" – but he looked like a movie star while doing it. "Bradley is a huge Neil Young fan," says Nelson on the phone from Australia where he's playing festivals with his band Promise of the Real. "He looked at me and said to himself, 'I want this guy to teach me how to present myself as a musician in this movie.'" Nelson was originally just contracted to be a music consultant, but once he began writing with Gaga they discovered such a great chemistry that Cooper brought him and Promise of the Real on board to serve as his character's onscreen backing band. "We just had the look he was going for," says Nelson. "And it just kind of kept going." 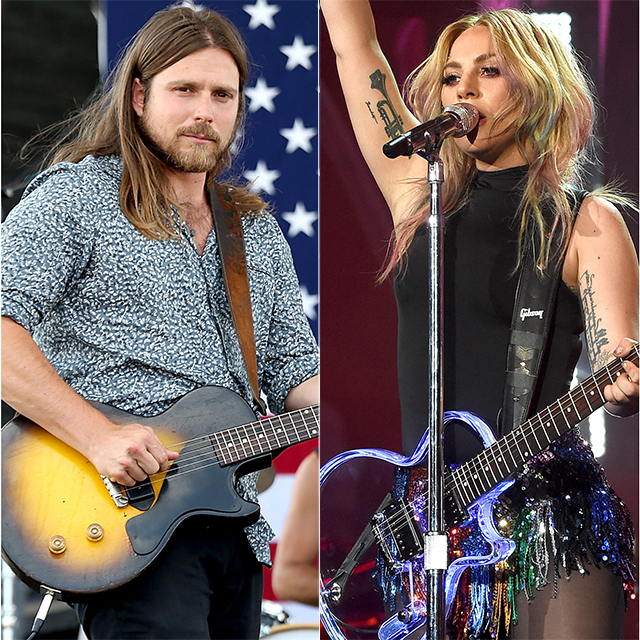 Lukas grew so close to Lady Gaga that she agreed to sing background vocals on his song "Carolina," which appears on Lukas Nelson and Promise of the Real's 2017 self-titled LP. Check out a new video for it below. The hours are a lot worse than musician's hours. [Laughs] That's a lot of hurry up and wait. As musicians, we get a lot of time off. It's a blessing. That said, I do think I'll be doing more acting in my life. It'll be down the road since music is always my first priority. I'm sure when you formed your band back in the day you never imagine you'd be backing Lady Gaga in a big Hollywood movie. Exactly. I never had that in my head in any way, shape or form. But years ago, Bob Dylan did offer me a job to go on the road. I sat in with him [in 2004] and he made the offer afterwards, though my mom forbade it. That was OK since I was working on developing my own band and I was playing with dad. My mom wanted me to stay in school. Back then I said to myself, "Well, if that ever happens again. If there's anybody besides Bob, because that ship sailed, but if Neil [Young] were to ever call and asked me to play with him, I would." We've played there quite a few times and every time I'm surprised at how much I just really love it and how beautiful it is. The people there love music so much. I just find it to be a fantastic place. I wanted to write a song about it. She came over the studio one time and we played it for her and she loved it. She was like, "I hear these harmonies," and I said, "Well, go put 'em on there." And she did. That's just kind of how it went. It was real natural. What's it like to write with her? Oh, she fantastic. I really feel like our brains work similarly in music. She's just a super talent. It's like a dream come true. She's a fantastic human being. She's a really great person.